Well the spring show season is over (at least for me) and the alpacas are happy to be back home kicking up their legs and rolling around in the dirt!! 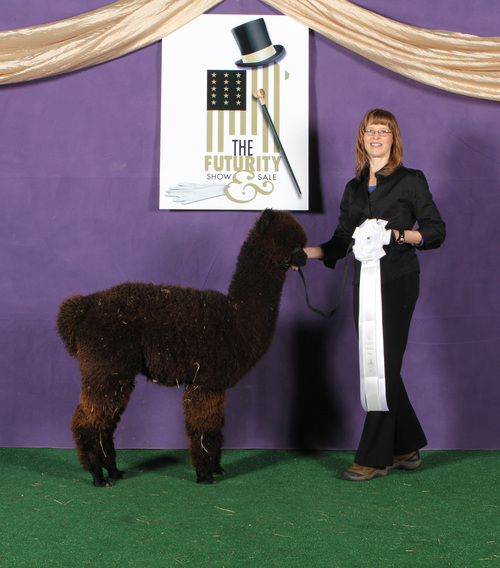 Six alpacas traveled to the MOPAC show in Kansas City on March 29-30th. 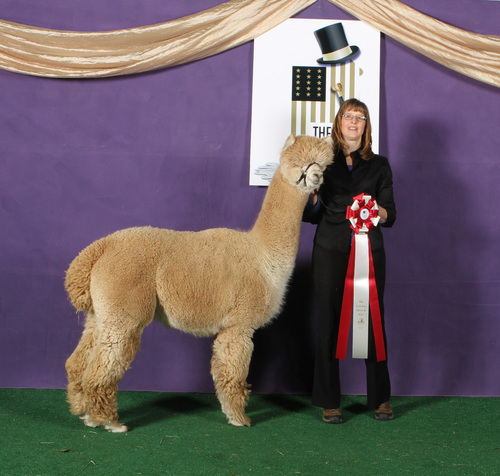 The following are the results of the alpacas that were taken to the show. 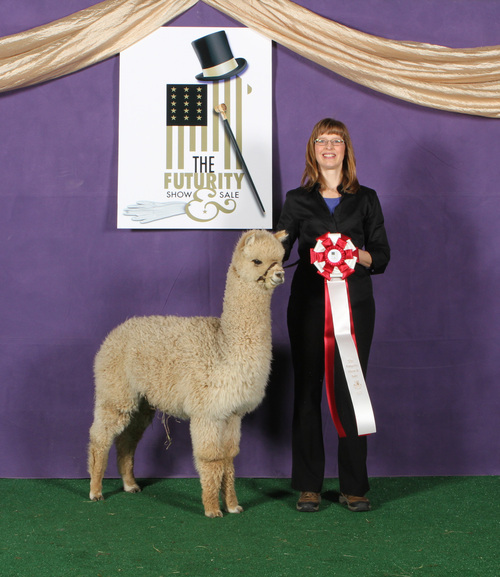 The grand show of all shows - The Futurity was held April 13-14th. 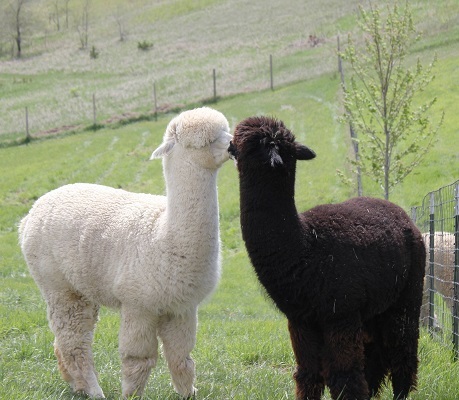 This show draws farms from all over the country and there were several farms that were there that have hundreds of alpacas. To get ANY ribbon at this show is quite an accomplishment. Five alpacas traveled to the show with me (Sheri) and my parents. We had a good time and the good news for us was all five alpacas got ribbons!! 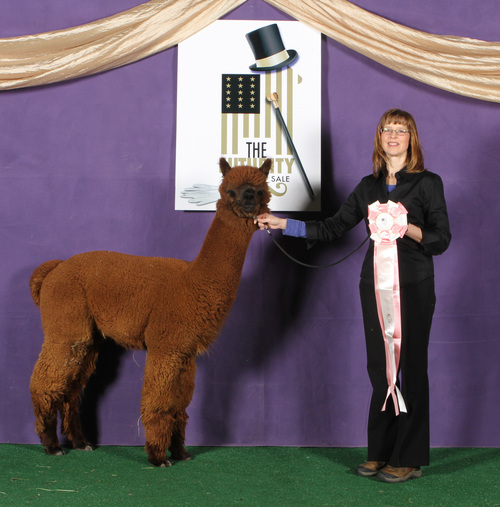 2nd Place - AHL Javelin's Spice Girl - OF NOTE - SPICE GIRL CAME IN 2ND NOT ONLY TO THE COLOR CHAMPION BUT THE ALPACA THAT BEAT HER WAS ALSO THE FEMALE JUDGES CHOICE WINNER SO SHE HAD SOME REALLY STIFF COMPETITION! 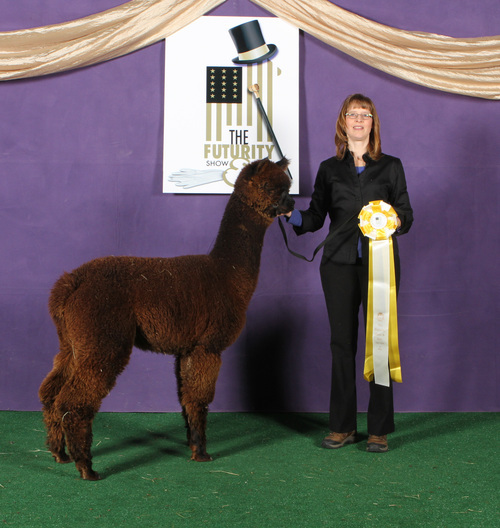 Very proud of all the alpacas and their placement at the spring shows this year. Now the next item in 10 days for them to look forward to is shearing !!! Enjoy the pictures here that are from the Futurity show - The pictures from the MOPACA show are listed under my photo albums.